Another year and another big commit from Indiana. 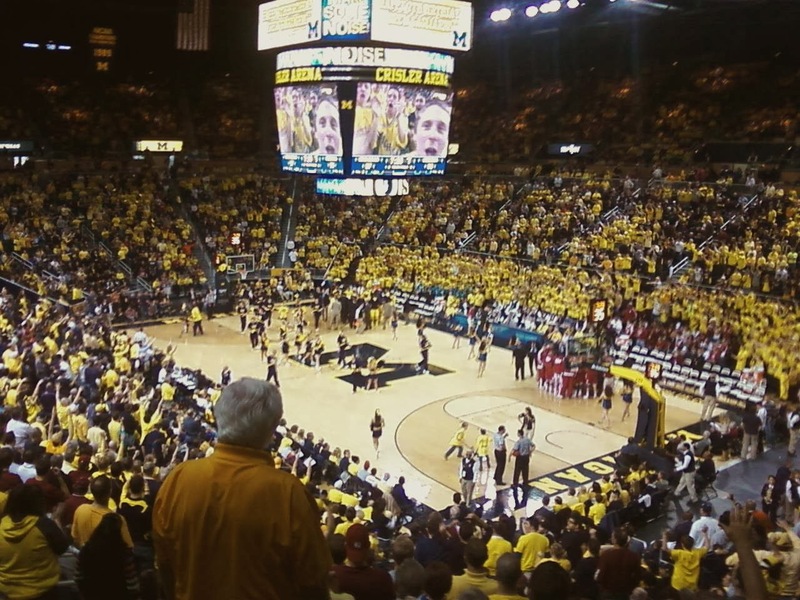 In recent years, Michigan has built its teams and recruiting classes off players from Indiana. A few years ago, two low ranked recruits named Zack Novak and Stu Douglass joined the Wolverines. They were some of the key factors that got Michigan back to the NCAA Tournament after a decade long drought and to a Big Ten title in 2012. Michigan then followed by signing its highest rated recruit in the 2012 recruiting class, 5* Glenn Robinson III, who is also from Indiana. With such strong success recruiting the state of Indiana, it only made sense to bring in another highly rated recruit, Zak Irvin in 2013. Irvin has great size at 6'6" and is extremely talented on the offensive side of the ball. He's been called "aggressive" and is cited as a great 3-point shooter. For Beilein's offense, this is obviously a major advantage for Irvin. The only area that he probably does need to work on is his strength. In fact, he actually got bumped down to junior varsity level because his coaches believed he needed to work on his strength. Now, this shouldn't be a major concern since his school has enormous depth and talent (He actually went to school with 5* MSU commit Gary Harris). However, if Irvin wants to make an immediate transition to the college game, he will have to work on this weakness. Looking at his ratings throughout the major scouting services, there are quite a few differences. His height and weight all seem to be about the same, but there are some differences for his position and his actual ratings. Looking at his size and his game, he looks more like a small forward to me, but he's a player that could easily rotate between the 2 and the 3 in Beilein's offense. Depending on the players that are on the team when Irvin arrives will more than likely determine his position. As for ratings, Scout is just absolutely off on this one. They are the only major site that has him that low and I still cannot comprehend their reasoning. I actually complained about this awhile back and will continue to do so until Scout fixes them. Irvin is a 4* recruit and should probably be around #65 in the 2013 class. Now that Irvin has committed to Michigan, the questions revolve around how he will fit into Michigan's team and lineup for the 2013-2014 season. Looking at Michigan's current depth, its 2012 recruiting class, and its 2013 recruiting class, I wouldn't be extremely surprised to see Irvin get some early playing time. By time he arrives on campus, I'm guessing that Michigan will have already lost 3 players to the NBA Draft. Trey Burke and Tim Hardaway are very likely going and there's a good chance that GR3 could be going pro after one year as well. Of course, this is highly speculative, but Haradaway and GR3 are the guys I have projected at starting the 2 and 3 positions for Michigan next year, which would leave a large gap for the 2013-2014 season. Michigan does have a few players right now and in the 2012 class that could help fill this void, if those players do go pro, but I still think Irvin would have a good chance at some serious playing time. Nik Stauskas and Caris LeVert will both only be redshirt freshman or sophomores so they probably won't have a major experience advantage over Irvin. It's way too early to project whether Irvin will start when he arrives in Ann Arbor, but I think the chips could fall right for him to get some serious playing time early in his career. Either way, he's bringing some amazing talents to Michigan that will likely help the team for years to come.